On Monday, Sept. 18, Vice President for Student Affairs Michael Whaley announced the addition of Demetrius J. Colvin to the Student Affairs team as Director of Wesleyan’s new Student Resource Center. Initially prompted by a proposal developed last year by the Equity and Inclusion Steering Committee, the new Student Resource Center provides a centralized space where students can advocate and learn about diversity and inclusion. 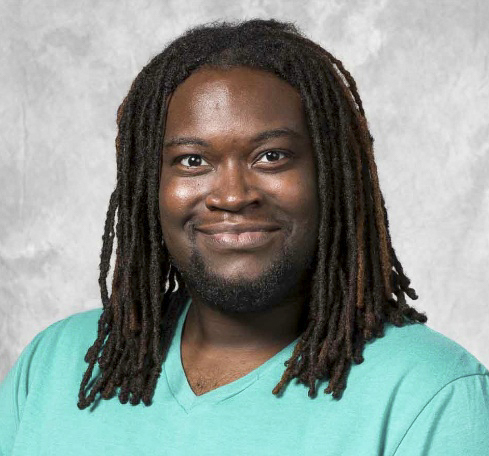 Colvin comes to Wesleyan from Macalester College, where he worked as an assistant director of the Lealtad-Suzuki Center for Multicultural Life, and has previously worked as a coordinator of the Multicultural Resource Center at Amherst College. He acquired his bachelor’s degree in International Studies from Case Western and has a Master of Education in counseling from the University of Maryland, College Park. Colvin expressed his conviction that Wesleyan has all the talent, motivation, ingenuity, and wholeheartedness to continue to make strides as a community. As the director of the Resource Center, Colvin wants to be a cheerleader, coach, connector, and counselor for students and faculty alike. “[My goal is to gain] any supportive role that I am able to inhabit to build the capacity of the students, faculty, and staff at Wesleyan to (a) see similarities in each other’s experiences, interests, and values, (b) see the best in their own potential to develop new insights, skills, and attitudes, (c) understand and appreciate differences, contradictions, and ambiguities within oneself as well as amongst others,” Colvin wrote. The Resource Center will formally open on Thursday, Sept. 28 from 3:00 p.m. to 5:00 p.m.